Best Beauty Salon for Sale Bal..
Best Beauty Salon for Sale Ballarat | Aussie Business Sales are the le..
Ballarat Beauty Salon for Sale..
Ballarat Beauty Salon for Sale | Aussie Business Sales are the leading..
Beauty Salon for Sale Moonee P..
Beauty Salon for Sale Moonee Ponds | Aussie Business Sales are the lea..
Beauty Salon for Sale Melbourn..
Beauty Salon for Sale Melbourne | Aussie Business Sales are the leadin.. 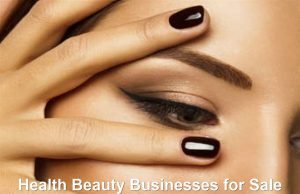 Waxing Business for Sale Melbo..
Spa Massage Waxing Business fo..
Beauty Salon for Sale Ballarat..
Beauty Salon for Sale Ballarat Beauty Salon for Sale Ballarat | Aussie..
Business for Sale Ballarat Business for Sale Ballarat | Aussie Busines..
Beauty Business for Sale (Sold.. Starting your dream business can be an exciting but daunting task. It’s important to make smart decisions from the start – which is where the team from Aussie Business Sales comes in. With years of experience with business brokerage to rely on, we can help you buy or sell a beauty salon with ease and leave you with the best possible result. This is an opportunity for savvy business investors looking for a simple option that can return a profit. We know the industry well and make life easier for both buyers and sellers by taking on the tedious tasks of buying or selling a business. Health Beauty Businesses are the ideal investments for skilled beauty industry technicians looking to strike out on their own. Many of the establishments we have on offer are come at a fraction of the setup cost, with extensive equipment lists and near-new fit outs. The businesses we have for sale are dotted throughout key locations across Melbourne and Country Victoria. In addition to the range of health beauty businesses we have featured here, we also have a number of hair salons for sale in Melbourne and the surrounding suburbs. If you are looking to buy or want to list your Health Beauty Business for Sale in Melbourne or Country Victoria get in touch with our friendly team to discuss your situation and schedule a free consultation. Reach us on mobile: 0418 515 434 or email: ian@aussiebusinesssales.com or send us a message through our enquiry form to receive a prompt reply.